Google is certainly on a spree. After celebrating its 18th birthday earlier this week, the Mountain View based firm had much to announce at the Google for India event, including a brand new app called YouTube Go. On Tuesday, the company also updated its Google Search aka Google app for iOS, bringing several new features. Announcing the changes in a blog post, Google’s Unni Narayanan, Director, Product Management, said the three new features being added will make the app “more private, video-friendly and stable.” The updated app (v19.0) is now available via the App Store. 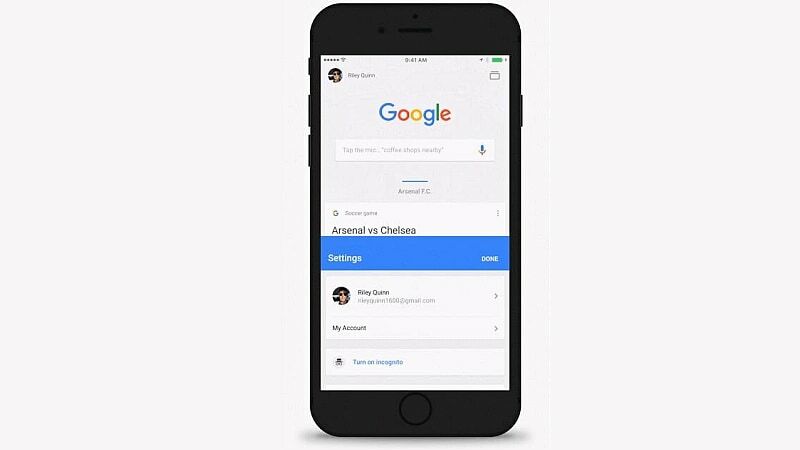 Users of the Google Search app for iOS can now search privately with incognito mode. Just like incognito mode in browsers, searches and browsing history will not be saved. Users can turn on incognito mode via settings. Users will also be able to utilise Touch ID fingerprint recognition technology to ensure only they are able to re-entering an existing incognito session. A 3D Touch shortcut has also been provided, allowing users to enter incognito mode simply by hard pressing the app icon. The next major feature addition is the ability to watch YouTube videos directly within the Google app. This means, users will not be directed to their browser or YouTube app once they click on a video link in their search results. Finally, as mentioned, the third major addition is stability – Google claims the crash rate of the app has been reduced by 50 percent, which in other words means the app is now “twice as reliable” in Google’s words. The company has also improved compatibility and stability of the app for iOS 10 users. Another unmentioned change is that the Google Now cards have been renamed to Feed – mirroring a similar move on the Android app.